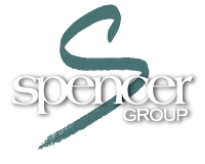 When you hire Spencer Group, you get an entire staff of seasoned professionals with a wide range of experience. We truly work as a team on your behalf — each one of us is involved in some way with every client. We value and appreciate the close working relationships we’ve developed over the years and welcome the opportunity to serve you. 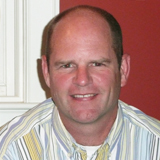 Mike has 25 years of experience in data management, direct marketing and fundraising. Prior to starting his own firm in 1989, he was an account executive with Epsilon Data Management, an industry leader in the field. 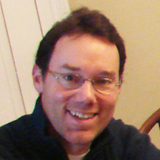 During his career, Mike has served a wide range of commercial and nonprofit clients. Over the past two decades, he has developed a series of sophisticated analytic reports that have been used by over 200 organizations. He has also been a speaker and presenter at industry seminars and conferences. Mike is a graduate of the University of Vermont with a B.S. in business administration. 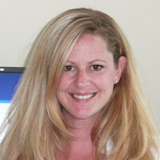 Chrissy (Mike's youngest sister) has been with Spencer Group since 1995. In that time, she has played a key role in dozens of annual fund and planned giving programs, and has managed the production of numerous direct mail appeals. Chrissy was also instrumental in developing a state-of-the art job management system which tracks the specifications and progress of every project. She holds a degree in marketing from Champlain College and currently resides in Burlington with her husband Marco and their daughter Ava. Sue (another Spencer sister) was the inspiration behind the company's move from the Washington, DC area to Vermont in 2004. For seven years, she served as a vice president and account manager. 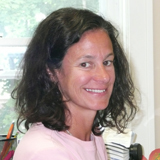 Today, in additional to her full-time duties in the financial aid office at the University of Vermont, Sue continues to provide strategic, operations and human resources support to the Spencer Group team. She and her husband Roger live in Colchester and have three college-age children, Spencer, Zach and Megan. Kelley is the first "non-Spencer" to join the company since it moved to Vermont. 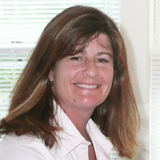 In doing so, she brought 15 years of experience in client services and project management, most notably with Bombardier SeaDoo watercrafts in Melbourne, Florida and Green Mountain Coffee Roasters here in Vermont. 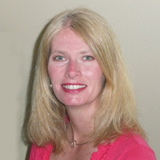 Her exceptional organizational skills and calm demeanor have made for many happy clients. Kelley graduated from the University of Vermont with a bachelor’s degree in economics. She is a native Burlingtonian, where she currently resides with her husband Mark and their children Maggie and Nash. 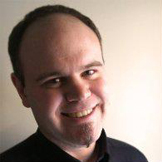 Mike has over a decade of experience working for and with nonprofit organizations. Initially, he was involved with childcare programs at the Greater Burlington YMCA before serving as Membership Coordinator for the Vermont Alliance of Nonprofit Organizations (VANPO). At VANPO, he worked with nonprofits, funders, grantmakers, consultants, and private companies in an effort to strengthen and sustain the Vermont nonprofit sector. Today, he serves as our data and analytics guru, a responsibility he assumes with good humor and meticulous attention to detail. His combination of in-depth technical knowledge and strategic acumen are key ingredients to his effectiveness as a consultant to all our clients. He and his wife Tracy live in Burlington with their children Caris and Charlie. Bill is passionate about visual communications, and is the artistic talent behind the graphic design services we provide to our clients. He joined us in 2011 and has over 20 years of experience in graphic design, commercial print production and data management. We met Bill in 2004 when he served as our resident problem-solver as our print vendor’s Prepress Coordinator. As a designer and signmaker as well over the past 17 years, Bill’s portfolio has grown to include a wide variety of projects, from all manners of marketing materials and publications, to logo design and branding. Bill is also involved with local non-profit organizations, serving as vice president of the Milton Historical Society, co-chair of the General Stannard House Restoration Committee and on the boards of the Milton Artists' Guild and the Lake Champlain Byway Council. He is a graduate of Champlain College, where he holds degrees in Marketing and Business Management. He and his wife Jen reside in Milton with their children Anna and Evan. Jane’s 20 years of marketing, public relations and development experience began in the Alumni Office of her alma mater, Boston College — and was further fueled by development-focused leadership roles in both large regional and small local nonprofits. Her fundraising experience spans the strategic to the tactical — from planning and implementing integrated development plans; to writing grants; to cultivating and soliciting donors; and to stewarding these donors through personalized, relevant communications. At Spencer Group, Jane is our chief copywriter and creative strategist. She holds both a bachelor’s and a master’s degree (English) from Boston College, and lives in Burlington with her partner Rob.